Quiz: How does your Disaster Recovery plan score? – Superb Internet Blog - Delivering 360° Hosting Experiences – and blogging about it! How many layers are there to your disaster recovery plan? Each layer should add more security as well as the ability to quickly recover from data loss. If you answered zero or one, you should consider updating your DR plan to include additional recovery options. Ideally, you’ll want to score a 4 or above to feel secure. Scoring anything less than 4 layers means you are placing your data at serious risk. I’ll go into more detail on how to score your business later in this article. But first, let’s look at WHY you need additional layers for your DR planning. Second, many business owners think that because their servers, email, and websites are hosted in the cloud that they are “safe”. Although many cloud platforms may be more power redundant, storage redundant, and include more processing power – your data is not 100% “safe”. Keep in mind, not all cloud providers are created equal. Click here to see a comparison chart of the top cloud providers. Simply, when disaster strikes – disaster won’t care whether you host in the cloud or on an old DL380 in your office basement. If you aren’t sure of your DR plan, I suggest you have a frank discussion with your IT manager. The goal is zero data loss and to be operational quickly should any disaster occur. Ideally, you’ll want to be operational in minutes… not days or weeks. Remaining online is money and reputation when you depend on the Internet for revenue. That’s why it is more important than ever to institute a DR (Disaster Recovery) plan that exists in several layers. One backup (one layer) is NOT ENOUGH. For many, this would be devastating. No cost could be placed on this amount of data loss. In fact, it may even lead to your closure. So what does a Layered DR plan look like? This allows for quick recovery for web pages should someone accidentally delete an item. However, should the hard drive(s) die, all data would be lost. This is really only to be used to replace individual files that were corrupted or edited. This is a backup the resides in your local office. This ensures you have a physical copy within your grasp at all times. I recommend doing a monthly backup like this. If you have large amounts of data, you will want to have a backup closer to the server. This could be physically in the same data center or geographic region. This is good, although you should add Layer 4 to your DR plan. This backup layer is removed from the geographic region entirely. For example, you host your data in Seattle. You would then setup a backup node in Virginia or vice versa. This gives you thousands of miles of separation, but yields more data security. You can also recover if one data center is knocked offline for an extended amount of time in a new location. This means a physical copy housed in a vault with security guards. This is the ultimate in data protection, but does not lend itself to speedy data recovery. Further, this is cost prohibitive to many small and medium sized businesses. Of course, you can add even more layers to your DR mix. However, the ones listed above should be more than enough. 2 – 3 layers: You will be only be able to recover if the DC has replacement hardware and the facility itself is still online. As data was not hosted outside the facility. 4+ layers: You are in good shape, you will be able to recover from most disasters either in the same DC you are located in or a new facility altogether. Add a geographically diverse location to your DR plan. A geographically different location will bring you peace of mind knowing your data is secure in the case of any local DC outages or regional issues. In fact, Superb.net is one of the most affordable providers in this market. When you factor in the reliability of SSD drives used on our ThunderCloud platform – your data has never been more safe. SSD’s also deliver the highest performance available for read/write at 6Gbps… that’s double the speed of conventional SATA drives! When your site is offline, you want immediate and FAST access to your backups. Superb delivers blazing fast upload and download speeds with our ThunderCloud configurations and enough storage for most applications. Our network has been rated #1 for the last ten years! Better yet, your ThunderCloud instance is always available with automatic failover. This means you can access your data at any time. This is crucial if you are suffering an outage. 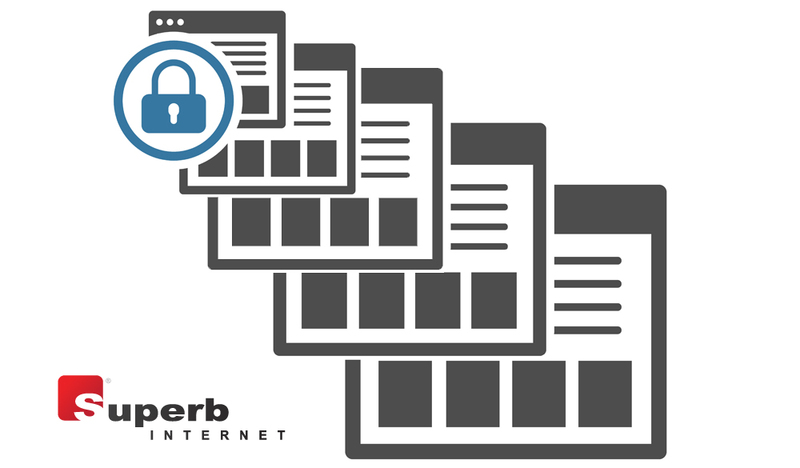 Superb Internet provides geographically diverse, blazing fast, and redundant solutions that are a must for creating peace of mind for your data storage needs. In fact, you can chat with an expert today who will help you build out your very own Disaster Recovery plan with all the layers that are right for your business. Why don’t you chat with a Disaster Recovery expert now? Previous articleThis sweet heart deal is just for you! Next articleWhat would data loss cost your business?